So, you have decided to give your “Grandpa” Phantom some “fresh blood” and make it younger and more agile, but don’t know where and how to start? Did you start googling and realised that there are just too many tutorials, and that going through all of them to find the most informative one would take too much time? Did you also notice that there are actually not so many posts that have dealt with this topic in-depth, and that all you can find is partial info and just bits of the entire project? Well, to be honest, they probably don’t want everyone to have a perfect Phantom 1.1.1 and that’s why they don’t share everything. Well, that’s not the case here, as we will offer you a complete makeover project tutorial, step by step. We know how frustrating this can be, especially if you haven’t got a clue where to start, and how time consuming the making of the all the needed parts list can be. And speaking of that list, get your credit card or PayPal account ready, because you are going to use them! Whether you realize it or not, the fact that you own a Phantom 1.1.1 is perfect! Why am I saying this? Well, for starters, all the following series of the iconic DJI Phantom, the Phantom 2 Vision and Vision+, the Phantom 3 (all the versions), and the mouthwatering Phantom 4 (all of its versions as well), are pretty much maxed out performance wise, and there’s not much you can do to improve them drastically. On the other hand, the old grandpa Phantom can be seriously upgraded, that, with plenty of practising to improve your piloting skills, and with the upgrade parts we recommend, you basically get a model that is better than Phantom 2 Vision+, and just falling back short behind the Phantom 3, and we mean the Professional version, not the Standard, because you will have a better camera. Also, you will have live video feed, but not the short range like the Vision model, but rather a long range video feed, whether you want it on your smartphone, or on FPV goggles. Speaking of FPV goggles, in case you plan to use your Phantom just for FPV flights, not aerial videos, the fact that the drone won’t be carrying the action camera and the gimbal, but the extremely lightweight FPV camera, means that your flight times will be longer, and unlike freestyle FPV drones, that have a range of some 300 meters, with the Phantom, you can go up to 1 kilometer, or maybe more if the conditions are great, and you have antenna range extenders for your transmitter antenna. However, keep in mind that you can’t fly the Phantom in Acro mode, but simply cruise in the sky, and even above the clouds if they are lower. Just imagine the view! However, we need to tell you first that you won’t get the autonomous modes such as Point of Interest or Follow Me, and other very useful camera and flight assists, but, as we mentioned, once you have plenty of air under your props, you will be able to do those maneuvers manually. And, we will explain that as well, but a bit later. First, let’s talk about the parts. Okay, here’s the thing, before you start ordering upgrade parts, you need to define what your plans with the Phantom are. 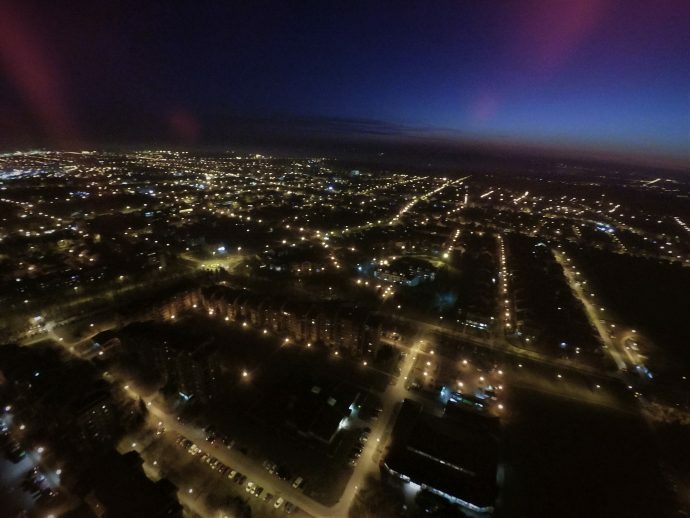 For example, if you want to use it for aerial filming, you will definitely need the gimbal and the FPV transmitter and the Smartphone receiver, because it is advisable to use a monitor rather than goggles for aerial filming, because you have a better orientation and the sense of where your drone is, because you can always take your eyes off the monitor and look at the drone, which is not that easy if you are wearing goggles. 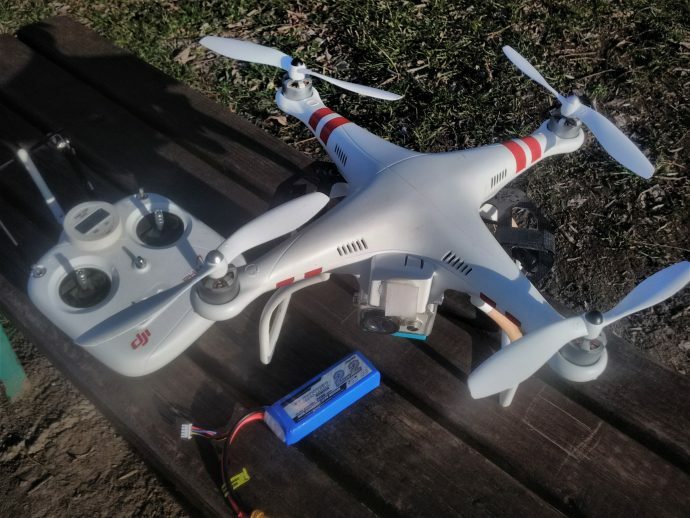 Now, if you want just to cruise across the sky and enjoy the view, and don’t care that much about 2.7K or 4K footage, all you need is the FPV transmitter and camera set, the FPV goggles, and you are pretty much ready to take off and shred the clouds. 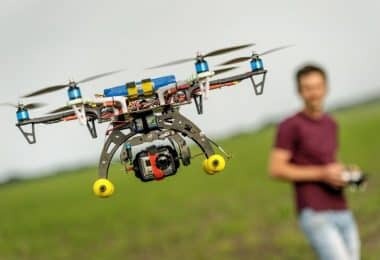 But, having both options available might be the best choice because you never know when you might be inspired to make a breathtaking aerial video of a location you just discovered while cruising across the sky in FPV. In that case, you can simply land the bird, swap the batteries, attach the gimbal and the action camera, and fly back to the location you want to shoot. 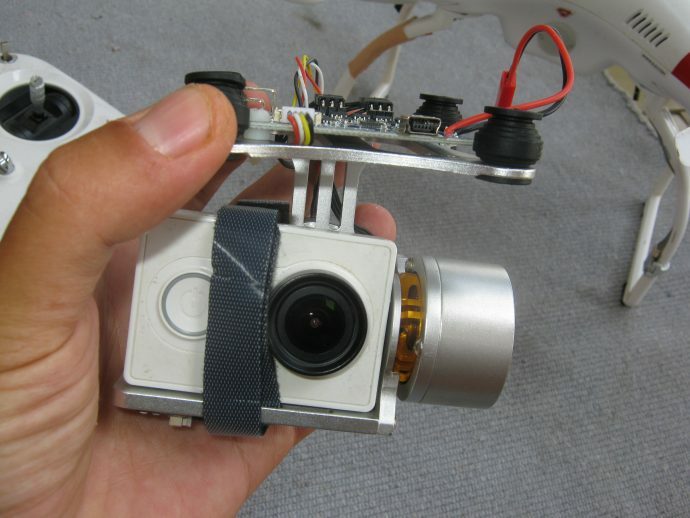 Also, when it comes to aerial filming, transmitting the video signal from the action camera through the FPV transmitter is possible, but since the signal is “heavy” due to the high-quality of the image, you will get signal delay. With the Eachine Smartphone FPV receiver, the lag isn’t that bad, but it is present. You will be able to get that perfect angle and shot, and see it on the monitor, but if you plan on shooting moving cars or suddenly come across an obstacle, that fragment of a second is enough for you to turn the sticks too late. Shooting videos using the action camera signal, is recommendable when doing slow panoramic shots or shooting stationary objects. The solution? Well, the best option is to get the FPV cam as well, and position it close to the action camera, so that the frames are pretty much identical, so that the video is perfectly framed. The benefit of this combination is that you don’t have signal delay, and that you have time to maneuver suddenly if needed. The only downside is that the video feed image quality will be lower, but don’t worry, the action camera will be rolling at the same time. Finally, the part you have been waiting for, right? We know that we listed the DJI Phantom in the table, but that was for those who don’t own one yet. Therefore, we are not going to talk about the bird as we assume you are already quite familiar with it. Let’s dig into the specs, PROS and CONS of each upgrade part you will need for this project. We will start with the most easy ones to replace and mount, the props. 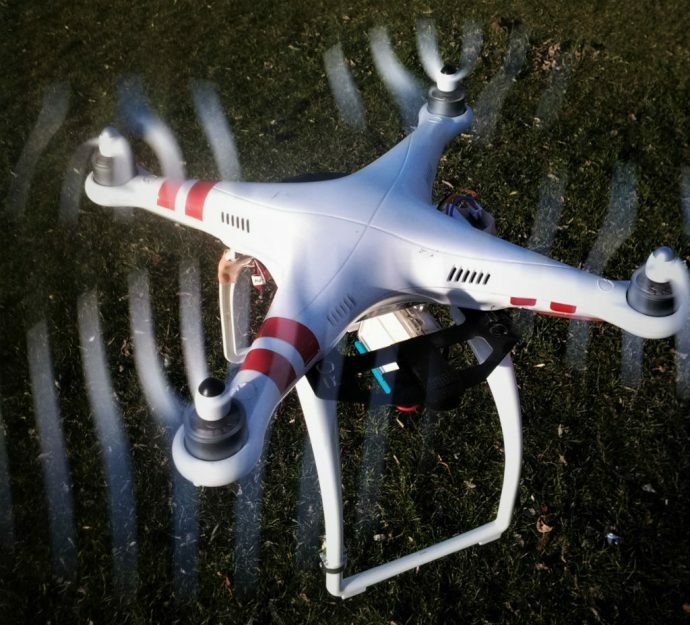 Now, your good old Phantom 1.1.1 comes with 8 inch props, which, for the standard, out-of-the-box setup, are perfect, as they give the drone an ideal balance and power consumption. However, since we are planning on adding some additional parts, the weight of your bird will increase, which means shorter flight times, but more importantly, different flight characteristics, especially if you mount the gimbal and the camera. 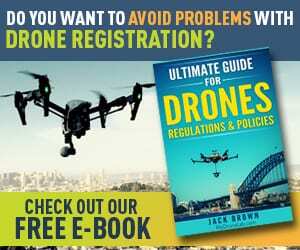 The drone will not only have shorter flight times, but if left on standard 8 inch props, it might even act unbalanced and react slower to the stick control, which can end up with a crash. Solution? Bigger props, of course! 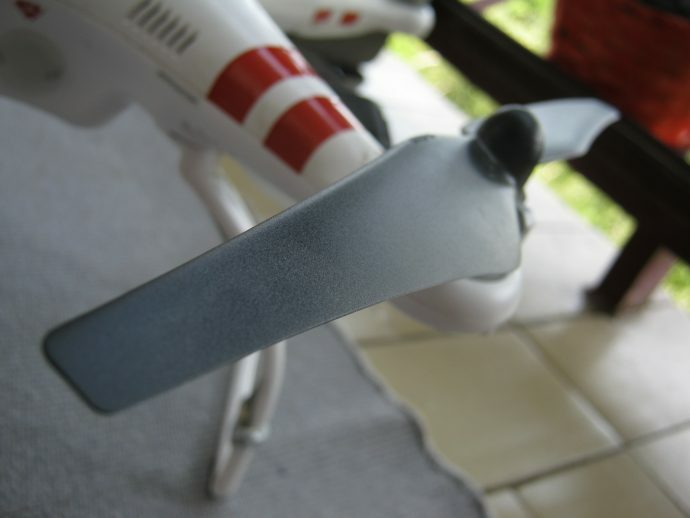 The 9 inch, DJI 9450 Self-tightening Propellers (Phantom 2 Vision standard props) are, as their name suggests, self-tightening, and luckily for you the 1.1.1 version has motors that allow the use of these props, while the older Phantom 1 version don’t. This means that the props constantly tighten themselves during the flight, and you don’t have to deal with the dreadful nuts on top of the prop, and be scared that they might fall off mid-flight. Also, since they are bigger, and have a higher prop pitch angle, they provide more lift, which results with more pull power (the drone will carry the gimbal and camera easier), and you get longer flight times (2 to 3 minutes on top of your current, standard-prop flight time). Since we will be adding a gimbal and an action camera, which come with a wide-angle lens, your standard Phantom landing gear is not going to cut it anymore. First of all, you don’t have room for the gimbal, and second, the legs would be in your shots, constantly, which pretty much makes them useless, right? So, in order to be able to fit the gimbal and the camera nicely, as well as to avoid having legs in each shot, and to give your drone more clearance from the ground (quite useful for keeping the gimbal and the camera a bit safer in case of a harder, unpredicted landing), you need wider and taller legs, and we recommend the SummitLink Blue Landing Gear. These legs are manufactured specifically for Phantom 1 and 2 models, and will fit perfectly, and allow you to turn your drone into a great aerial filming platform. This set is the most important factor for those who plan on using the Phantom for FPV cruising across the sky. But, as we mentioned earlier, it’s also a smart idea to have an FPV camera even if you want to use the drone for aerial filming because of the signal delay. The AKK KC02 40CH 600mW FPV Transmitter (with an included 600TVL 2.8MM 120 Degree CCD camera), is a reliable and a budget friendly choice, that allows you to have a video feed of your flight, as far as your drone can go, thanks to a higher power (600Mw), and there’s virtually no signal delay if used with the CCD camera. 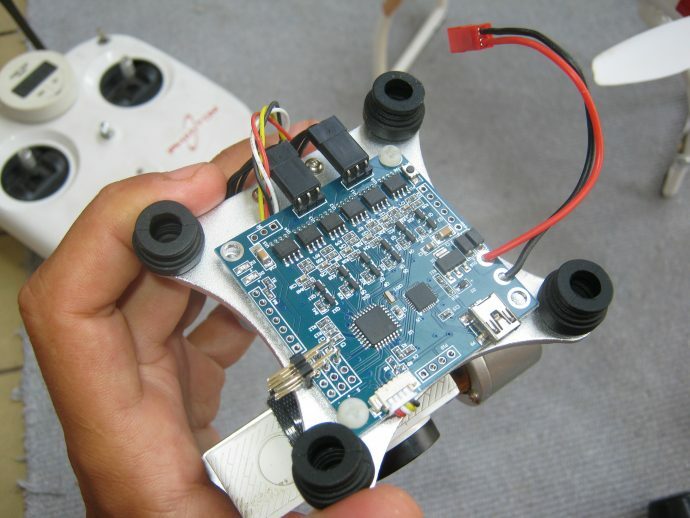 In order to be able to have a live video feed of what the drone sees, you need an FPV receiver. Now, you can either opt for a monitor that has a built in receiver, but they are not that cheap (at least the good ones aren’t), or you can have a much more cost effective approach, and get the Smartphone receiver, that turns your Smartphone or a tablet, into an FPV monitor. Or, you can also buy a cheaper VR Smartphone headset, and simply use it as FPV goggles. The one we tested and highly recommend, is the Eachine ROTG01 5.8G 150CH Smartphone FPV Receiver. It is really easy to use, as it scans the channels automatically and finds the best channel for use, and truly turns your smartphone into an FPV monitor. 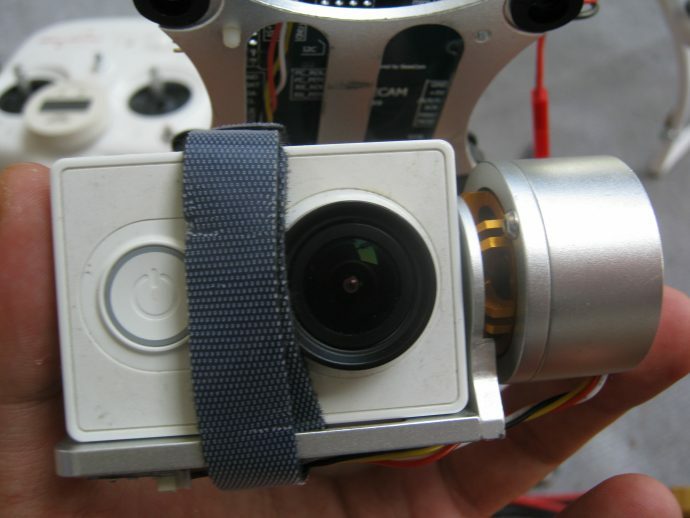 Have you ever tried attaching an action camera on your Phantom without a stabilization system? If you have, you have noticed how the footage has the infamous jello effect, and how the camera follows both yaw and pitch movement, making the video going all over the place. The jello effect comes from the motor vibrations that go through the entire body of the drone, and are simply transferred to the camera as well. To avoid that, and to have your camera leveled all the time and have beautiful, smooth videos, you need a gimbal. For starters, you don’t need the 3 axis gimbal (even though it provides the supreme stabilization) because you won’t be needing panning movement due to the fact your landing gear (even though wider), limits your field of view. A 2 axis gimbal, such as, for example, the GoolRC Brushless Motor Gimbal, will do just fine, and make sure that you don’t have jello, and that your videos are perfectly leveled all the time. 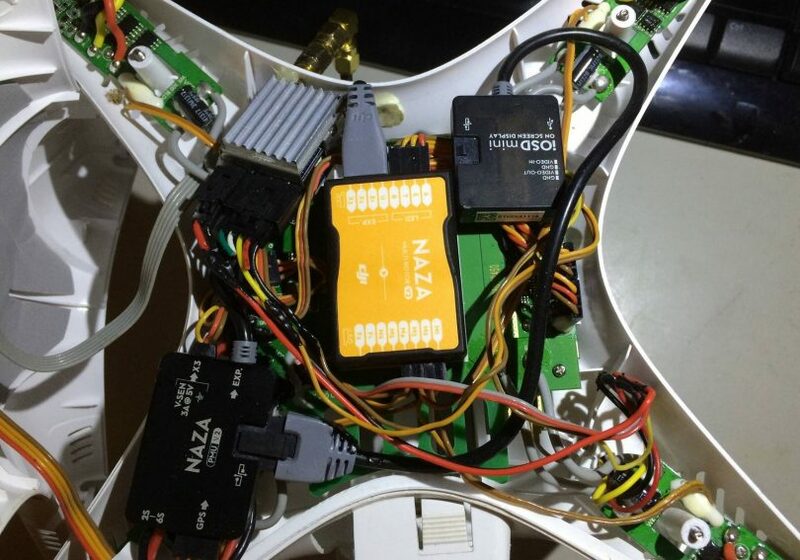 This one is easy to mount and connect with the Naza V2 FC your Phantom comes with, it’s lightweight because the aluminum framed is carved for shedding of excessive weight, and no additional programming or setting is needed, meaning that you just need to mount it and plug it in, and it will work. When it comes to action cameras, you could opt for a GoPro Hero, but it costs more than this entire project. So, we found and tested the best alternative. The Xiaomi YI Action Camera and the YI 4K Action Camera. Both cameras are actually much more high-quality than we expected, and image wise, the difference between the GoPro and these two is hardly noticeable. The Xiaomi Yi model offers up to 2.7K @30fps, 1080p up to 60pfs, and 720p up to 120fps. This camera is great for all types of outdoor use, and for great Full HD aerial videos, or crustal clear images, thanks to its 16MP CMOS image sensor with Exmor R ability. With this camera, you get the same image quality of the Phantom 3 Standard model. On the other hand, if you want to have the video and image quality of the Phantom 3 Pro, you should opt for the YI 4K, as it delivers 4K video resolution, at 60fps, and the Full HD at 120fps, meaning that you can make killer slow motion videos when the frame rate is that high for Full HD resolution. Also, this camera has the Electronic Image Stabilization, combined with the gimbal, delivers “surgeon’s hands” stability. 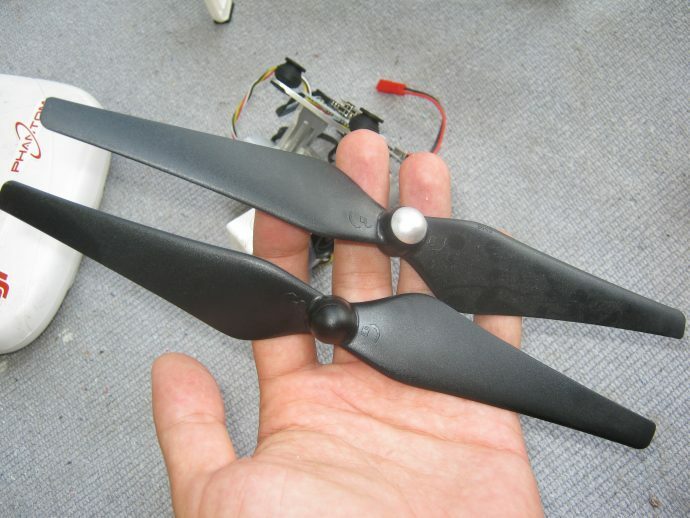 This is one extremely useful addition to your Phantom, as not only that it allows you to use two batteries at the same time, so that you can stay in the air longer, but since the Phantom has a rather slick design, meaning there’s not that much room and places to attach things (unless you want to cut the shell… but that will ruin the appearance), you get the perfect mounting position for your FPV transmitter. 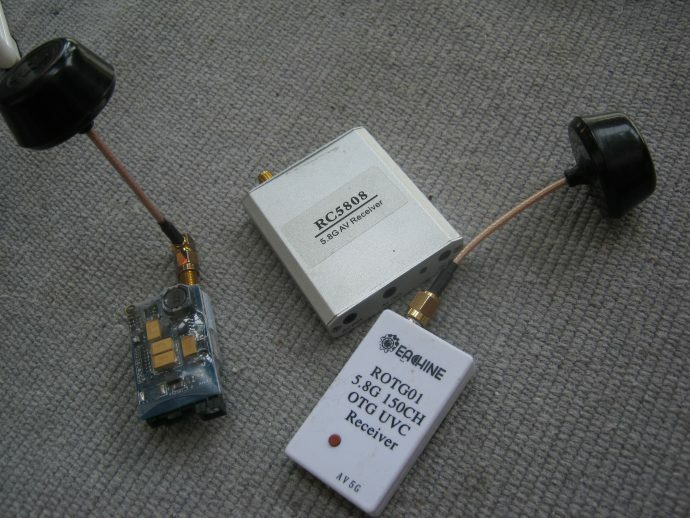 More importantly, these mounts allow the transmitter to be attached upside down (antenna facing down), which is very important for better signal coverage and range. Our recommendation, is the Powerday Extended Dual Batteries Fiberglass Mount, which also comes with a dual battery power supply cable with XT60 connectors, and security Velcro straps for the batteries. Your standard Phantom 3s battery gives you around 10 to 11, maybe 12 minutes of flight, and that’s without the camera, right? But, when you add all the additional equipment, that will drop down to around 8 minutes. Therefore, using a higher mAh value battery, is recommendable if you want to keep it in the air from 15 to 17 minutes. But, higher mAh means heavier and bigger battery, which probably won’t fit the Phantom’s battery bay. This is where the dual battery mounts come in handy. As per battery choice, we recommend the Gens ace 3S 5000mAh LiPo Battery. It has a great mAh capacity, and also a higher C rating (50C), which is especially useful since the drone will be heavier, and it will drain higher Amp levels from the battery, and the higher C rating allows higher Amp level drain, without dropping the voltage levels. The battery charger that comes as a standard with the Phantom package is okay… But it can be so much better. It’s true that it is a balanced charger, meaning that it will balance out the cells, but the problem is that it isn’t that precise, and it doesn’t have the discharge option, which is very important for setting the ideal power levels for storage. The one we recommend, and the entire RC community will probably back us up on this one, is the SKYRC IMAX B6AC V2 2S-6S RC Balance Battery Charger. 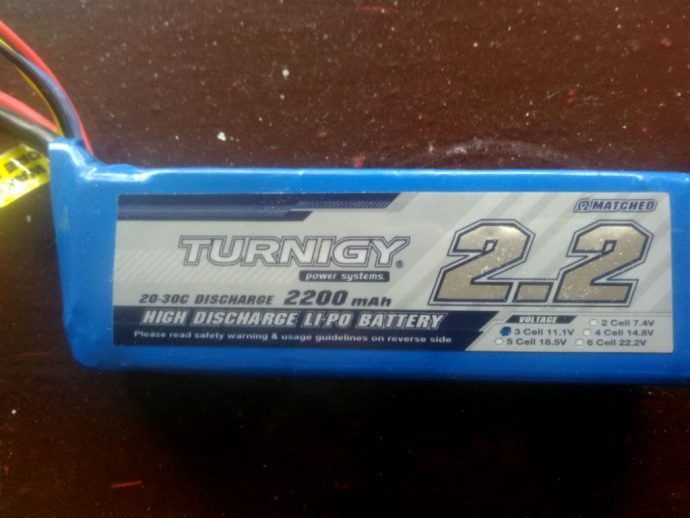 If you want to get the most of your batteries, and make them last long, regardless of the type and the cell count, this is one of the best options. Even though Phantoms (all series) are advertised as stable aerial filming platforms, and in the air, they are really stable, when it comes to landing, they are not that good. 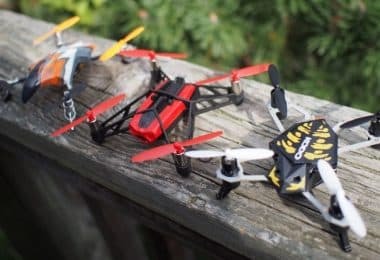 The newer models, also include the Auto Landing option, and even in those cases, and with the Phantom 1 this is always the case, the drone tends to flip when touching the ground, and this can damage the props. So, in order to avoid that, we recommend that when you want to land it, get it down to the height of just above your head, and let it hover while you grab one of the legs. Once you grab it, push the throttle stick all the way down and inwards, to shut off the motors. 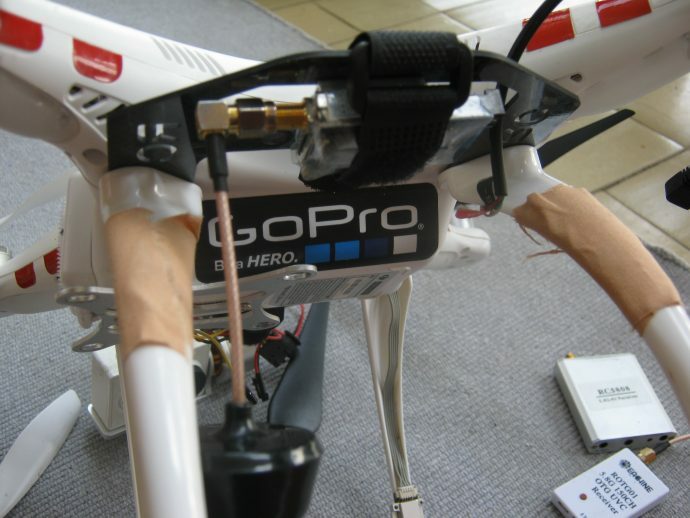 This is a much safer way of landing, and will save you some money on replacement props. This is actually the trick that will allow you to have those great Following shots you can see with the Phantom 3 and 4 series, as well as the Mavic and Spark. What course lock does, is basically creating an imaginary infinite line between the drone’s Home Point (from where it takes off) and the imaginary, let’s call it “Destination Point” or DP in further text, and the drone flies only in that line, regardless of your yaw movement. To explain this a bit better, imagine placing your drone on the ground, switching it on and letting it memorise the Home Point. The next thing is switching to Course Lock mode. What drone does next, is memorising where its “nose” was pointing at (the DP), and upon taking off, it will follow that course. This is like basically having a “useless” yaw rotation, meaning that when you make yaw turns, the drone doesn’t turn to that side, but keeps going straight, only rotating around its own yaw axis. Once you master flying in Course Lock, you will be able to create those breathtaking “passing through” shot where the camera is fixed on a certain stationary object, while the drone keeps flying forward. This about wraps up our today’s article about the Phantom 1.1.1 modifications and useful tips. 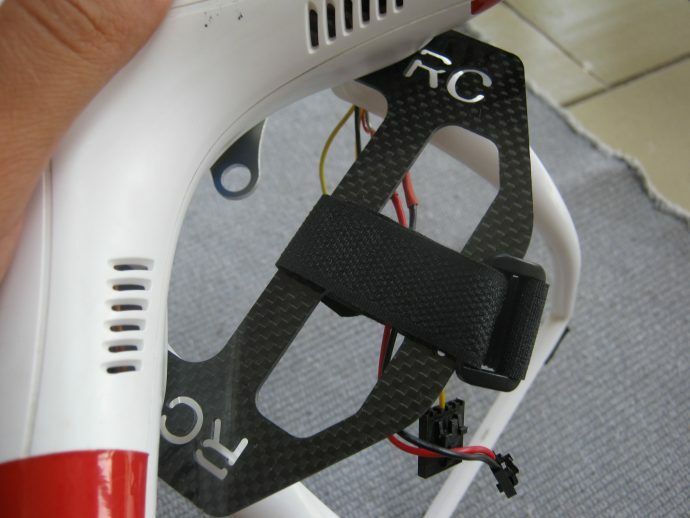 With all you just read here, you now have the knowledge and the list of parts to turn your Phantom 1.1.1 into a beast that can be used both for FPV flying, and for great aerial footage as well. Have fun, and remember to fly safely and responsibly, and please keep us updated on your progress and how you like your new Phantom. Also, if you think that we forgot to mention something important, or maybe just feel like sharing some interesting experience with your Phantom, let us know by leaving a comment in the comments section below. And, if you have more friends that own a Phantom 1.1.1 and want to upgrade it, share this article on social media so that they can read it as well. Thanks for reading and we wish you clear skies! Albert is our Go-To-Guy when it comes to testing RTF UAV models. 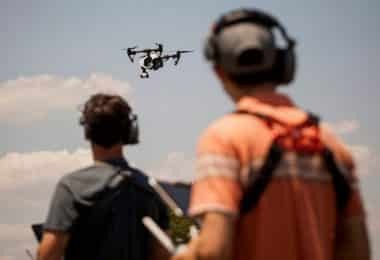 After being a professional cameraman and a photographer for 15 years, and working with various TV stations and production companies, Albert got interested in aerial filming. In the last few years, after getting his drone pilot license, he had tested and filmed with numerous aerial filming platforms. 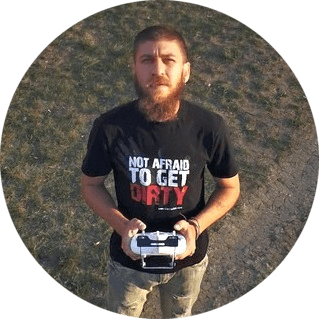 In his free time, he loves to travel with his family and to teach his kids to fly drones, or he takes them on a ride FPV style.